Our next community meeting is coming up. Come on out and hear all about our exciting Fall plans including our Status of Queer Conference. Monday, October 2 @ 6:00-8:00 pm. Regular Camrose Pride Community Meeting at Camrose United Church. Everyone is welcome! Wednesday, October 4 @ 2:00-3:30 pm. Guest Michael Phair Put Out the Pink Welcome Mat! A free presentation with Edmonton Pride Seniors Group members. See poster below for details. Saturday, October 14 Fall Conference Details to be announced. Monday, October 16 @ 5:00-6:30 pm. espressOUT Location to be announced. 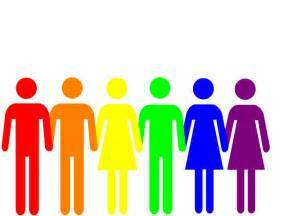 September 4 Monday @ 6:00 Regular Camrose Pride Community Meeting at Camrose United Church. Every body is welcome to come and connect and plan our activities. 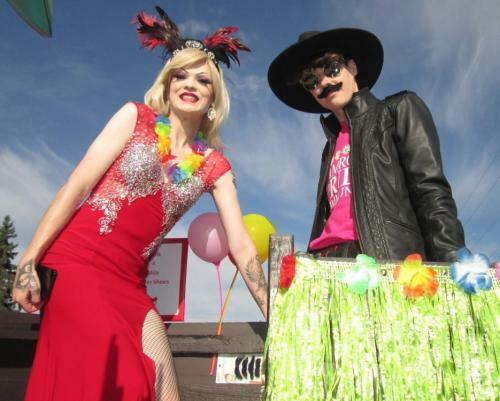 September 6 Wednesday 10-2 p.m. Camrose Pride Community will be at the Augustana Wellness Fair! September 11 Monday @ 7:00 Family and Friends Support Group resumes meeting at Camrose United Church in the Lower Parlour. Everyone is welcome. September 18 Monday 5:00 – 6:30 p.m. espressOUT Informal, drop in conversation group Be watching for an exciting new location! Every body is welcome! Mark your calendars for a very exciting conference hosted by Camrose Pride and the altView Foundation at Augustana University. Watch this spot for more exciting details in the coming weeks. August 21 @5:00-6:30 p.m. espressOUT at the Alice Hotel Restaurant Informal, drop in conversation group. Every body is welcome! 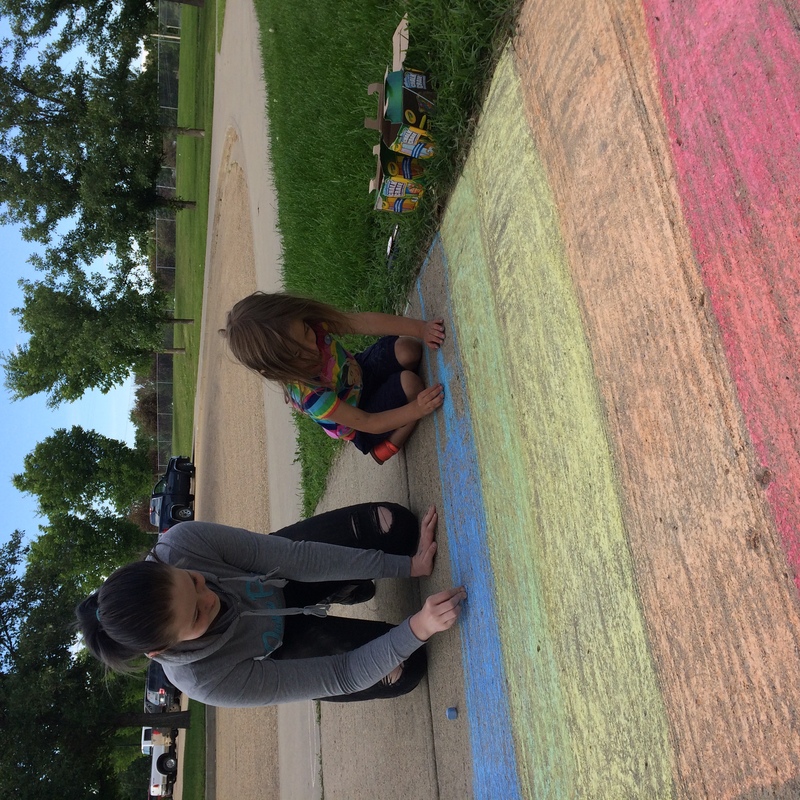 Marissa (from the Peter Lougheed Leadership Institute)shared that she is preparing an education module for Health Care workers at Bethany about LGBTQ Seniors on August 24 and 25. A poster will be added to the website for information. Future plans: Should we take our float to other parades next year? We may need a Parade committee for next year to investigate the possibilities. 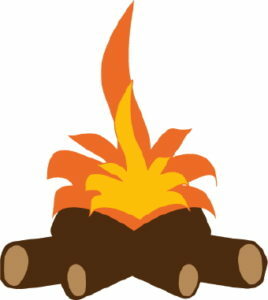 Summer Campfire Event at the Ferintosh Manor Bed and Breakfast à Friday, August 25 at 7:00 p.m. Bring chairs. Other details will be posted. 6. espressOUT on August 21 at the Alice Hotel Restaurant 5:00 – 6:30 p.m.
Next Regular Group Meeting on September 4 at 6:00 p.m.
Hi friends! I hope the summer is treating you well! I’m thrilled to be assisting Tim Cartmell, city council candidate for Ward 9, in engaging the LGBTQ+ community during his campaign! Tim is an ally to the LGBTQ+ community and he wants to have an informal roundtable discussion with LGBTQ+ people to better understand the municipal issues that affect the LGBTQ+ community in Edmonton! If you live in Edmonton and in Ward 9 (Terwillegar-Rutherford-MacEwan area), that is a big plus, but not required! If you are willing to commute to Edmonton, you are more than welcome to join! The more perspectives we can get, the better! I’m using the form to gauge the interest in order to book an appropriate venue, as well as to update those interested on new information! So please make sure you register if you want to come! If you have a guest/friend/support person that also wants to attend, please have them also fill out the form! Please pass this on to anyone you think would be interested! 7. 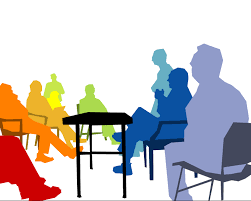 Next Regular Group Meeting on September 4 at 6:00 p.m. 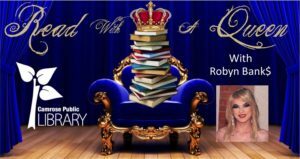 Please join Camrose’s very own Robin Bank$ for storytime at the library.